Margie is a Licensed Clinical Social Worker and earned her Master's Degree in Social Work from the University of Southern California in 1997 and also received her Bachelor's Degree in Social Work and Behavioral Science from Concordia University in Irvine, California in 1990. She has extensive training in Chemical Dependency, Child Abuse and Neglect, Case Management, Crisis Intervention and Suicide/Homicide Risk Assessment. Margie has over 25 years’ experience in a variety of settings working with youth and their families in the Orange County. She has worked in psychiatric hospitals, community mental health centers and other juvenile programs. She has provided individual and group counseling for children, adolescents and families, facilitated support groups, case management, and specialized in crisis intervention and assessments. Margie is married and the proud mother of Triplets!!! Peter graduated from Alliant international University in 2005 with a Master's Degree in Marriage and Family Therapy. Since graduating he has specialized in the field on Adolescent and family chemical dependency. Pete has worked in a variety of settings within both the substance abuse and mental health field since 2005. Pete managed the adult and adolescent detox and the geriatric psychiatric unit at Chapman Medical Center, where he began working as an adolescent Counselor and family Therapist in 2005. He worked as a Drug and Alcohol Therapist at the Adult Detox and Inpatient Program at Mission Hospital in Laguna Beach. In 2007 Pete was an adjunct professor at Saddleback College in the Health and Human Services department teaching the Crisis Intervention Seminar and Practicum Site seminar. Pete has maintained a Private Practice in Orange County and has collaborated with California Youth Services in a variety of settings including Case Manager and his current role as Therapist and Clinical Facilitator. Pete is currently the Program Administrator for the Adult Crisis Residential Program in Orange. Kelly is a California Credentialed, Multiple Subject Teacher and earned her Master of Education through Azusa Pacific University and Bachelor of Arts Degree in Sociology through California State University, Fullerton. She developed and overseas the Learn 2 Read OC program to help students that struggle with Dyslexia, the most misunderstood and common reading disability (1 out of 5 people). Untreated dyslexia leads to serious academic issues that have a potential to affect a person's decisions that lead to substance abuse, mental health challenges, and other delinquency problems. Kelly is also the Executive Director's assistant helping with administration, organization budget, and fund development. Kelly taught for the Tustin Unified School District as well as held an early childhood development position as a Preschool Director in Tustin. Prior to that she was a juvenile diversion specialist and became the first Program Administrator that implemented the Pepperdine Resource Youth Diversion & Education Program (PRYDE) collaborating with the Orange County Sheriff-Coroner Department. Throughout Kelly’s previous positions she’s held in the community, she has always been a part of CYS, ranging from grant writing, consulting, and stepping in where help has been needed. 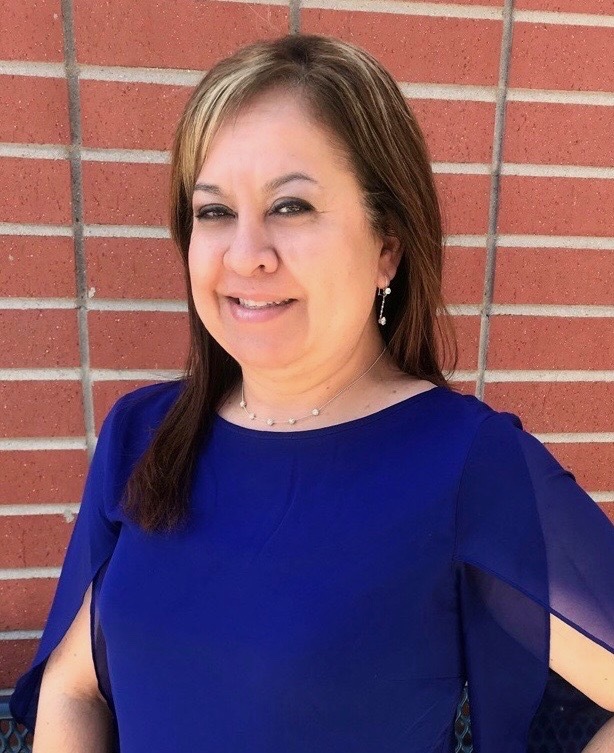 Mercedes has been an interpreter working with California Youth Services since 2002, and is passionate about working with our Spanish speaking families throughout all of our programs. She has worked for the Tustin Unified School District for the past 18 years and was promoted to the manager for the Office of Language Acquisition within the last 4 years. During her free time, Mercedes volunteers as an interpreter and translator for the Orange County Rescue Mission, along with the families of at-risk, teenage girls. Mercedes has a wonderful husband and two supportive, loving sons. Saarika is an Associate Clinical Social Worker and facilitates the school-based drug diversion and prevention programs. She is committed to providing quality mental health services to clients and their families. She earned her Bachelor's degree in Psychology and South Asian Studies from Rutgers University in New Brunswick, NJ. Saarika later went on to acquire her Master's degree in Social Work from the University of Southern California where her concentration was mental health. Her experiences include providing individual and group therapy to adults with severe and persistent mental health diagnoses in both residential and outpatient settings. Additionally, works with children and adolescents struggling with substance use issues, anger, depression, anxiety, and at-risk behaviors. When working with clients, Saarika implements various treatment modalities in the therapeutic process based on each person's individual needs and goals. Saarika is also married and the proud mother of a rescue dog named Hudson. Jeremy is a Licensed Clinical Social Worker and earned his Master's Degree in Social Work from California State University, Long Beach after receiving his Bachelor's Degree in Psychology from Concordia University Irvine. He has worked with both adolescents as well as adults in Los Angeles and Orange County. Jeremy has worked in a variety of psychiatric settings including hospitals and community mental health clinics. He also has experience working with adolescents and adults in an inpatient chemical dependency unit. He currently works in the intensive care unit and medical surgical settings. He provides individual and group counseling for children, adolescents and their families using a variety of treatment modalities including cognitive behavioral therapy and solution focused techniques. In addition he facilitates support groups and specializes in crisis intervention and assessments. Trevor is the Drug Testing Administrator at California Youth Services. He believes that drug testing youth in the community helps them resist peer pressure while reducing the chances of future drug experimentation. Trevor coordinates the drug testing for youth and families both in the offices and offsite at various school campuses. Once he receives the results he communicates them to families and offers support and resources as needed. Upon graduating high school, Trevor went on a two-year service mission to Guanajuato, Mexico where he learned Spanish and spent time helping individuals and families in-need. Following his return, he enrolled in college and has been studying Criminal Justice. Trevor recently got married to his best friend who supports his aspirations for the future. Both him and his wife are avid sports fans and spend the majority of their free time cheering on the Los Angeles Dodgers and Lakers.